Heiser says cloud service providers aren't nearly as clear as they should be in defining their policies and practices related to business continuity and disaster recovery. And it's not going unnoticed by customers (and potential customers). 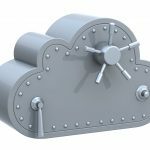 Clients are "almost universally disappointed" in the level of specificity (or lack thereof) regarding security in cloud providers' contracts.